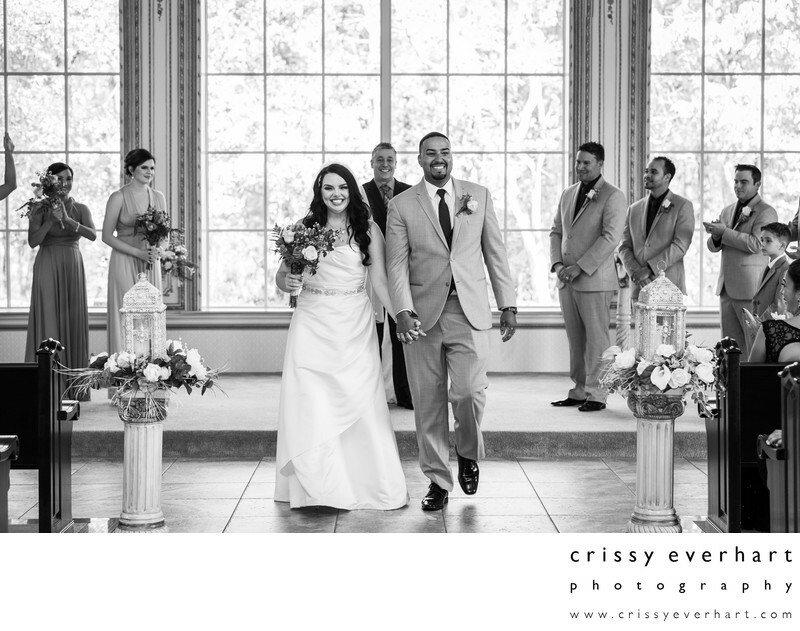 Bride and groom walk back down the aisle together at the Brigalias Chapel in Sicklerville, New Jersey. The wedding party cheers on the couple and the officiant beams as they walk past their guests to start a receiving line. This gorgeous interracial couple was one of the most expressive couples I have ever photographed- their fist look was absolutely perfect. They are very much in love and were a pleasure to be around!